The initial inspiration for our Philippines Travel Plan came from the discovery of very reasonably priced flights with Emirates, running from Rome to Manila (€528 return). Since Rome is a small hop from our home base in Europe, this seemed a perfect opportunity to extend our trip with a couple of nights in Rome both before and after the main trip. However, the main itinerary was for a 20-day trip around the Philippines. The biggest problem we had planning the trip was the amount of choice available. There are so many islands and possible routes through the Philippines that it can become quite overwhelming. Clearly, you have to be extremely selective in order to put together a practical, enjoyable plan. Despite the choice, there are also limitations regarding transit options between the destinations you do select. We like to plan circular routes so that we don’t have to backtrack through places we’ve already visited. In the Philippines this is difficult to do if you will be taking local flights. 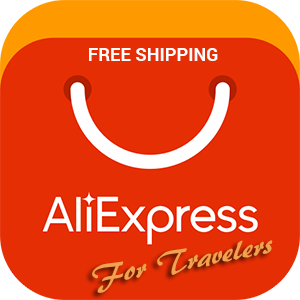 The problem is that for a relatively short visit of 20 days, you will need to take a few flights in order to make the best of your available time. 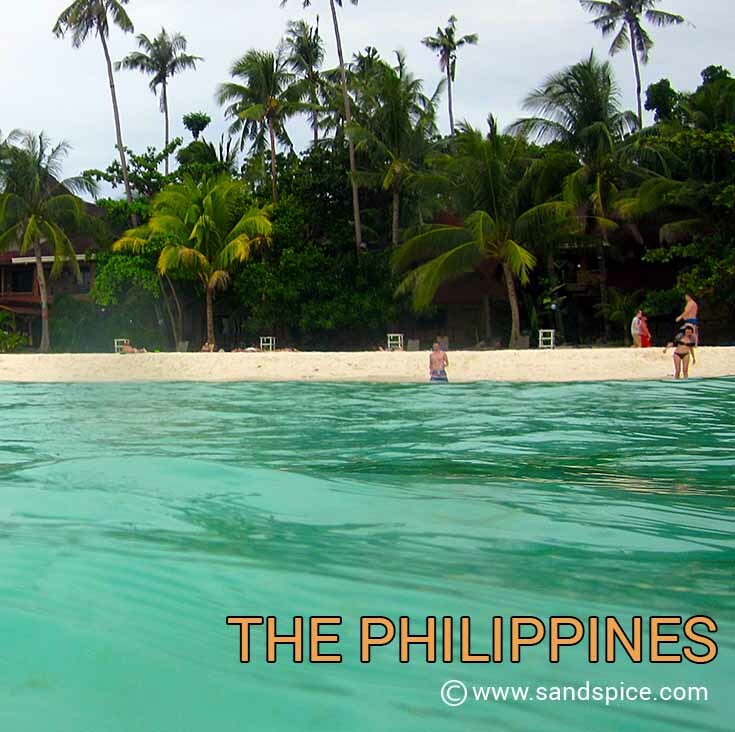 Our first plan was to avoid the so-called touristy areas of the central Visayas area, and travel to Palawan. The problem with this plan was that due to our limited timeframe we would have to fly from Manila to Puerto Princessa, and then back again to Manila from Puerto Princessa. This would involve a fair amount of back-tracking, which we really want to avoid. ♦ Have an active trip, moving from place to place, on foot as much as possible. ♦ Select 4 or 5 destinations where we can relax for a few days at each. ♦ Select destinations offering engaging and diverse activities. ♦ Eat the tastiest local food and fruit. ♦ Avoid backtracking or spending time in airports. ♦ Choose the best budget accommodation with the highest visitor reviews. ♦ Do all this on a budget of €35 per person per day (food, lodging, transport on basis of 2 sharing). We did a lot of research online, and the results led to a complete turnaround. To achieve the goals of our wish list, we concluded that the best route would in fact be centered around the area we originally wanted to avoid – the Visayas. (see map). We chose our destinations based on the availability and quality of the accommodation we could book in advance online. On previous trips, we sort of winged it with the accommodation, and left it to chance where we ended up staying. The trouble with this is that you often have to settle for inferior rooms, and it can actually turn out to be more expensive than booking in advance. Added to that is the extra time needed to find accommodations and to check them out (it’s not often we were happy with the first place we found). So we made a shortlist of places to stay in the Philippines based on high, recent customer reviews, and beautiful locations. Once we had this list, we narrowed our choices to a shortlist of 5 destinations that could be combined into a viable route. Since we wanted to keep our city-stays to the minimum, we decided to skip Manila completely on our way in. We would have to leave from there anyway at the end of the trip, so we reserved 2 days at the end for that. Our plan instead was to arrive at Manila, clear customs, then take the first flight out to Cebu. This would mean spending 6 hours at Manila airport following a long-haul flight from Europe, but it would save us time and costs in the long run. I have to admit not looking forward to our transit through Manila Nasay International airport: The place has a terrible reputation for chaos, noise, lack of services, and massive check-in queues. If we did a short stay in Manila before heading off for the islands, we’d have to experience the airport twice, so I concluded it may just be better to wait in the airport for a connecting flight, and head off again as soon as possible. So, we booked online an early flight from Manila with Philippines Airlines. Leaving at 5 am (about 6 hours after our arrival), and arriving in Cebu City an hour later. Arriving very early in the morning at a destination in the Philippines has its drawbacks. For one, most hotels allow check-in from 2 pm. If you want to check in earlier, there may well be a surcharge involved, so you can end up paying almost the same as for 2 nights. In our case, we did a wide search for hotels in Cebu City that allowed early check-in at no extra cost. There aren’t many! In the end we settled on the New Era Pension Inn Cebu. It had good reviews, central location, early check-in, and is walking distance from the Ayala Shopping Mall, and not far from the SM Shopping Mall. It also includes breakfast. Not bad at €32 for a double. Our plan was therefore to take a taxi from the airport directly to the Ayala shopping mall, where we should be able to get breakfast as they’re supposed to be open 24/7. All the taxi drivers know the mall, and the fare should be around 200 pesos (€4). We can then walk the 400 so yards to our hotel, and check in around 9am. 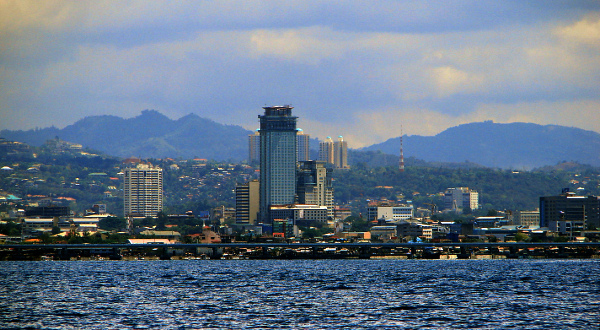 After that, we have all day in Cebu City, before leaving early the next morning for Moalboal. We are not planning to stay any longer in Cebu City: We’re keen to get away from the metropolis in order to spend our time in a more relaxed environment. Thanks to Google Earth, we were able to locate the South Bus Terminal from where we will catch a bus for the 3-hour ride to Moalboal. This place was on our hit-list from early on in our research. It appears to be a beautiful beach location with plenty of snorkeling/diving possibilities. Also the place we booked to stay, the T Breeze Coastal Resort, seems to be the perfect place to relax properly after a long journey in. We were able to book this place for €33 per night. The plan is to take it easy in Moalboal for a few days while we acclimatize (i.e. get sun burnt;), and eat plenty of tropical fruit. After 3 nights in Moalboal, we’re heading back to Cebu City to take a ferry over to Tubigon in Bohol. This will be a 3-hour trip to Cebu City, followed by a 1-hour ferry ride to Tubigon. From there, we travel 20km down the coast to Pangangan island. There we’ve booked a 3-night stay at the Isla Hayahay Beach Resort (€33 per night for a double – no breakfast). There are a number of ferry companies, but the one with the most trips per day to Tubigon is Starcraft. They charge 200 pesos per person economy (280 business class). Supercat ferries also go to Tubigon but only 3 per day at inconvenient times. 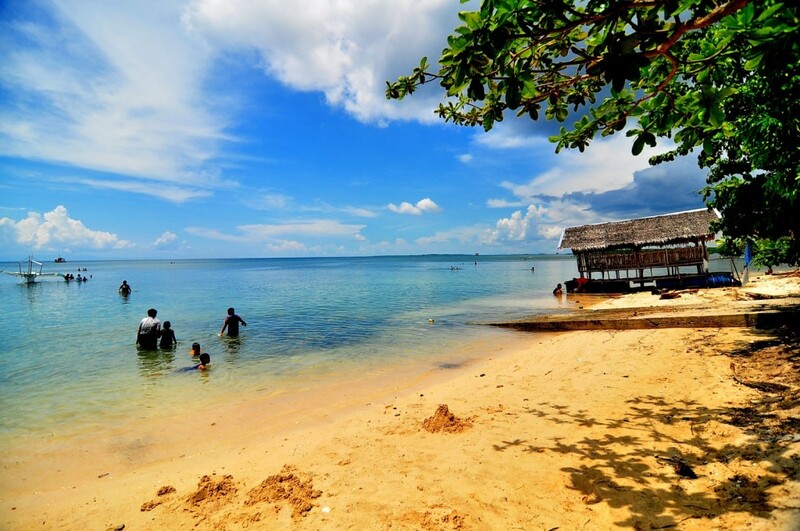 It’s about 14km from Tubigon to Pangangan island. 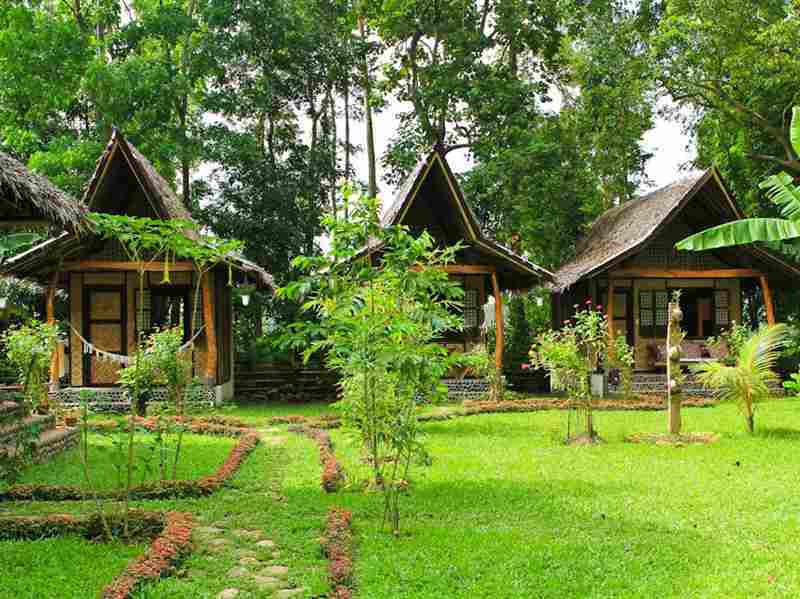 The Guest House offers a pickup from Tubigon to Pangangan for 850 pesos. Hopefully, we should be able to get a tricycle for the 25 min trip for less than that. We’ll be staying 3 nights on Pangangan Island. More snorkeling and kayaking, and hopefully some decent local food. From Pangangan, we’re heading straight to what will probably be the most touristy location of our trip to the Philippines: Alona beach on Panglao Island. To get there, we’ll try and take a bus for the 65 km journey. 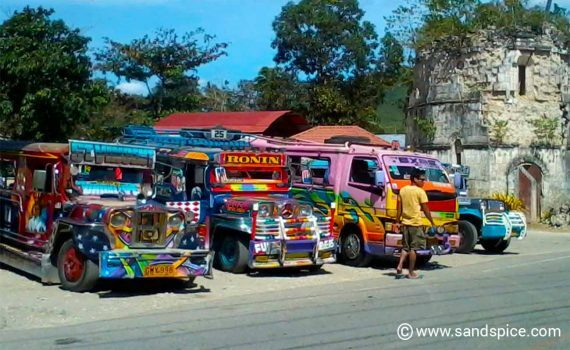 The bus should cost around 50 pesos to Tagbilaran, then we can either walk or take a trike from there (another 15km). Apparently, the sand on Alona beach is amazing, if you can claim a small patch for yourself amidst the crowds that allegedly flock here. If it’s too over the top, we don’t mind wandering around to find more secluded locations, and hopefully some areas for snorkeling. We’ve booked ourselves into the Ashiya-na Resort, which seems to be close to the beach and gets very high traveller reviews. At €30 per night for 2 including breakfast, it’s within our budget. I’m glad we booked well ahead – this place was already fully booked for our dates 2 weeks before our arrival (we booked it 4 weeks in advance). We stay for 3 nights at Alona, before changing scene by heading inland. I reckon by this time we”ll need a break from sand and sun. Our next destination brings with it a welcome change of scene and pace. We’re heading up river into the jungle to Loboc on Bohol Island proper. The journey is approximately 40 km mainly along the coast before heading up into the hills. For this we will most likely take a bus from the Tagbilaran Panglao bus terminal (there are 3 direct buses everyday: the trip takes around 40 minutes). When we get there, we’ll be staying at the Fox & Firefly Cottages (previously, the ‘Paddle’s Up Guesthouse’). Luckily, we also booked here early (all they had left at 2 weeks notice was the mixed dormitory). We booked our ‘Sagwan Room’ cottage for €28 per night (exclusive breakfast). Here, we’re hoping to do some zip-lining, stand-up paddle tours, and general trekking around. Another 3 days at Loboc, then back to the beaches for the last time before heading homeways via Manila. For our last two days in the Philippines islands, we decided to return to the beach to soak up our last rays of sun before returning to a damp and cold Europe. We wanted to be close to the airport so we didn’t have any last-minute transport issues. We chose a place to stay on the Northern side of Panglao island, presumably a bit quieter than Alona beach to the south. The Seaside Boutique Hotel came highly recommended, and fits our budget at €27 per room per night (including breakfast). 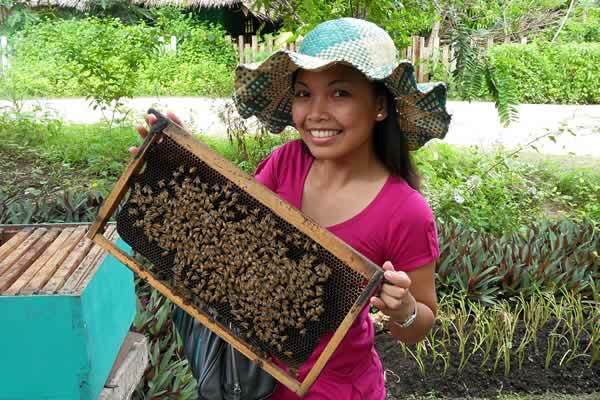 We also want to take the opportunity to visit the Bee Farm Restaurant nearby, which gets shining reviews, as well as the less frequented Dumaluan beach, and the Panglao Nature Resort. Tagbilaran airport is just 9 km from our hotel, so no problem there for the morning flight. 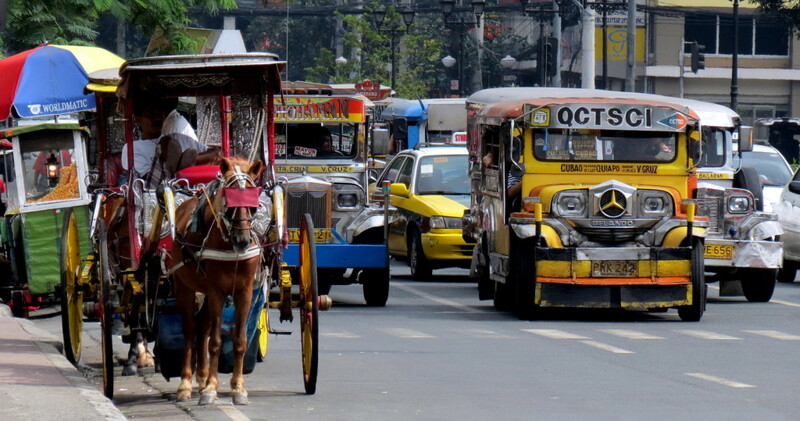 We arrive in Manila at around lunchtime, and will take a white cab from Departures to our hotel. I read online that the white cabs are cheaper than the yellow cabs, and that you can avoid queues by not taking a taxi from Arrivals. The fare should be around 250-300 pesos, and apparently we need to ensure we have a metered cab. Anyway, we have 2 nights in Manila, staying at the Oasis Park Hotel in Ermita (€30 per night exclusive breakfast). After that, it’s back to the airport and our return flight back to Fiumicino, Rome. Of course, all this is just the theory. Having a plan is important, but things tend to go off-plan from time to time. The first destination on our list was Rome, where we planned to spend our first night before jetting off to the Philippines the following evening. We had already booked our hotel and ear-marked a really popular restaurant for the evening. With luck, we would also squeeze in a trip to the Vatican.